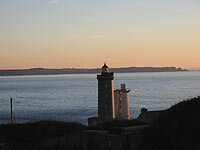 Situated at the tip of the Finistère fringing the natural harbour of Brest and its narrow, Plouzané gets its name from Sané, an Irish monk, who, according to tradition, founded the parish ("plou", parish in Breton) at the time of the immigration of Bretons into Armorique in the 5th Century. 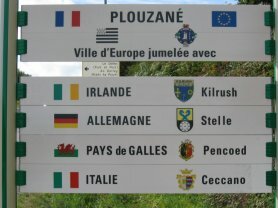 Some accounts identify Sané with Senan, an Irish bishop born in 488 in Molougha nera the town of Kilrush, Plouzané twin town. 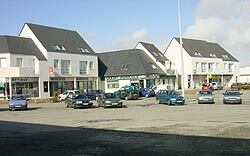 It is a town which cover the area of 33,14 square kilometers. Its development has been spectacular during last forty years. 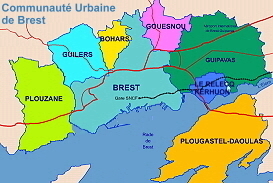 With a population of 2 066 inhabitants in 1962, in 1999 it reached 12 265, housing is grouped essentially around 3 poles : the Bourg, Castel Nevez and La Trinité. 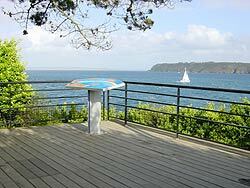 Plouzané is included in the Urban Community of Brest whose overall population is 221 000 inhabitants. 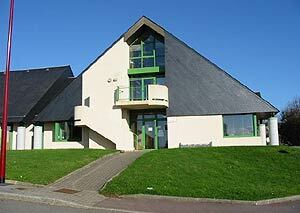 Technopole Brest-Iroise has established itself on the land belonging to Plouzané. This groups centers of research and leading firms which specialize in the Science of the sea, in telecommunications and electronics. A total of 5 700 people study and work there. Forty two farms prosper on the commune alongside several businesses and craft industries. 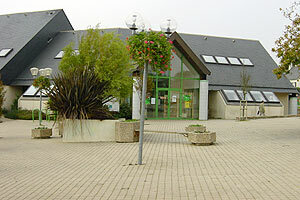 Plouzané is generously equipped with schools (7 nursery/infant/junior schools and 3 secondary schools) and sports facilities (4 gymnasia, football and rugby pitches and tracks for athletics) and also a cultural site (a Cultural Center, a School of Music, a Social Center, a non religious Social Center, a skate-boarding park, etc.). With its footpaths in the country and along the coastline ans its remarkable beauty spots (le Dellec, la Pointe du Minou), Plouzané is a place where it's good to be alive !